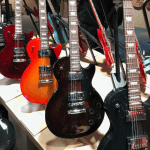 GAK Visits The Legendary MOOG Music Factory! 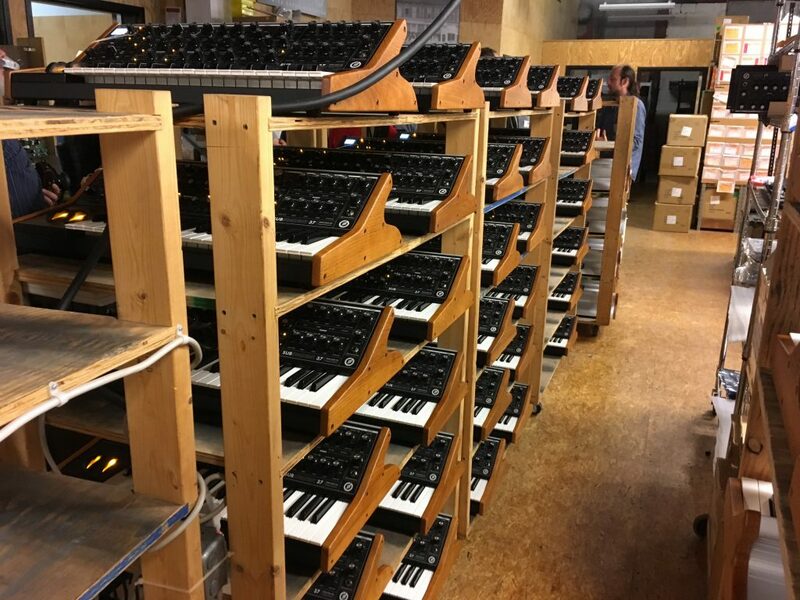 GAK Visits Legendary MOOG Music Factory! Well, whats on the calendar… Oh, a trip to the beautiful North Carolina city of Asheville to visit the home of the legendary Moog Music Ltd factory for an in depth tour, product training, roundtable discussions, some product previews, an exam, and, hopefully, to receive ‘Moog Pro’ certification. Deep breath…..there was a lot to take in. When I told some friends of mine who have previously visited Moog about my upcoming trip they all emphatically beamed about how lovely everyone there was. The family vibe, and a true sense of community and inclusiveness that permeates the companies culture. But this still did not quite prepare me for just how welcoming and generous the Moog family is. It is evident throughout their wonderful facilities and visible in the eyes of all that work there. The whole company doesn’t have the slightest whiff of modern corporate stuffiness. The Factory site itself is just at the bottom of Broadway in downtown Asheville where you won’t find many typical chain restraints or stores, it is a very homely, intimate feeling town with loads of small privately owned boutiques and eateries, much like the Laines here in Brighton UK where GAK’s store is located. Of course, you could get a Fudruckers or Burger King if you wanted in the retail park areas on the outskirts of town, you know if you wanted to. 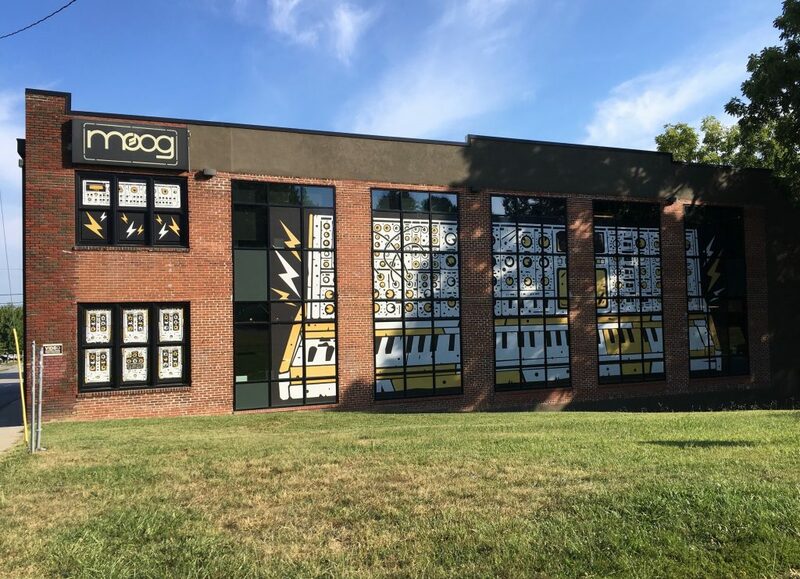 The Moog building is unmissable and unmistakable with its vibrant branding and murals adorning its walls and windows. There is a wonderful retail unit on the corner of the factory and offices that is open to all where you can try and buy any of their products and cover yourself in Moog related merchandise, plus a small selection of products from other niche manufacturers including MakeNoise, another Asheville based synth manufacturer founded by former Moog alumni Tony Rolando. The huge street facing windows practically beg you to press your nose against them and see Model Ds and halo legacy modular systems being hand assembled right there before your eyes. But should these windows not satiate your interest in the goings on within the factory, if you ask nicely in the shop, they will open up a door at the back of the store and take you on a free factory tour. It is like Charlie and the Chocolate factory, but with synths instead of sugar. The tour is in depth without ever being boring, and the sense of heritage and openness is palpable as you walk around. 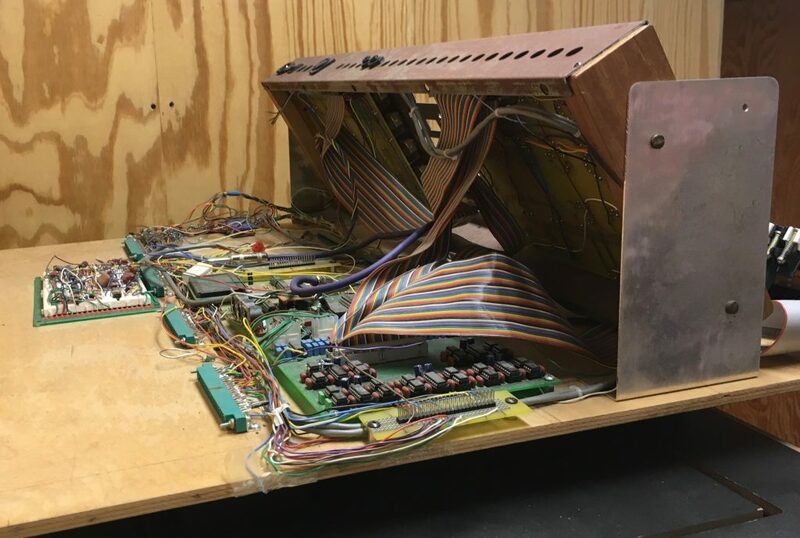 The last of the re-issue Model Ds are being built on the very same workbenches Bob Moog bought with the bank loan he got off the back of the pre-orders garnered from demoing the original Voyager prototype. The genesis of modern Moog. The previews we were privy to showcased truly wonderful products in both concept, execution and diversity, sadly at this time, I can say no more than that, but watch this space for info as soon as the information embargo is lifted… Out with the old, in with the new, as such, some other current Moog products will sadly be going out of production (MoogerFoogers et al), to make way for these future releases, so get your hands on those while you can. As is the case with Moog products, they will start to appreciate as soon as their number is up. 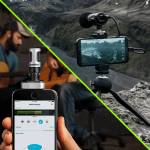 Moog has created a verdant garden of opportunity for themselves and their customers, and the steady direction on their compass is innate. 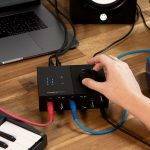 It could seem as if any direction Moog choose to run in would lead to the winner’s circle, but this is not down to luck, or good fortune, it is down to endeavour and verisimilitude. 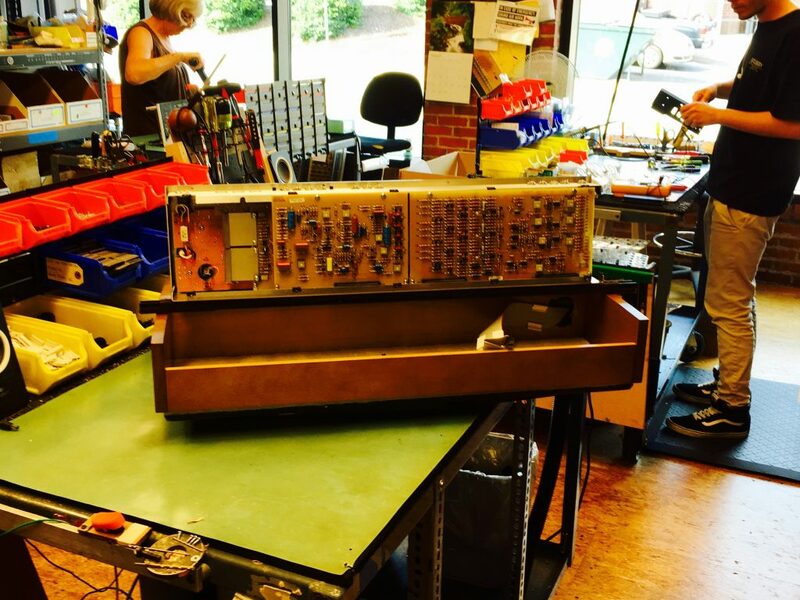 Moog’s legacy is rooted way deep within the basis of electronic musical instrument culture, and founded on the inherent philosophy and passion of Bob and the team that has assembled there in Asheville under Mike Adams. 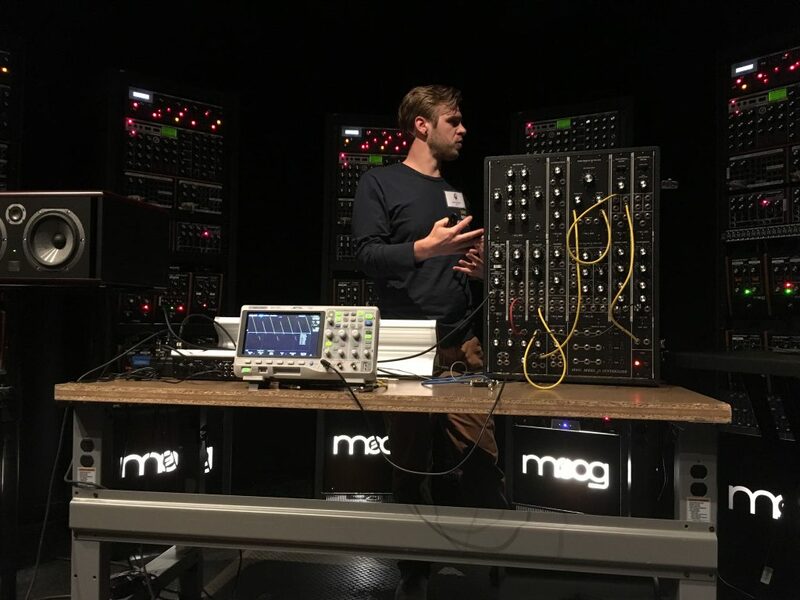 No other manufacturer in the industry has the responsibility and legacy the Moog name carries, and yet the company do not let that weigh them down at all. They use it for grounding, inspiration, momentum, council, as a springboard, as well as occasionally sitting in its shade, appreciating in all its glory, and harvesting its fruit when it’s time for a well-earned break. The road ahead on the Moog family highway has a really pretty horizon, and it is thankfully something we are all invited to share in and enjoy with them together. 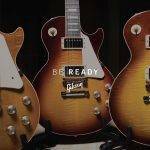 Previous Gibson Announces NEW 2018 Guitars! Next BOSS’ First Ever Collaboration Pedal. The Boss/JHS JB-2 ANGRY DRIVER!